Gary Numan premieres new single "Love Hurt Bleed"
Pixies release brand new 4 track EP! Stream: Noel Gallagher "Alone On The Rope"
"There was a wonkiness about New Order that got worse and worse and worse up until the split. There were a lot of financial problems we had to go through with Factory and The Hacienda. And there were a lot of power struggles within New Order that weren’t very pleasant and aren’t very pleasant to remember." Read the full interview with Peter Hook over at Billboard/The Hollywood Reporter. 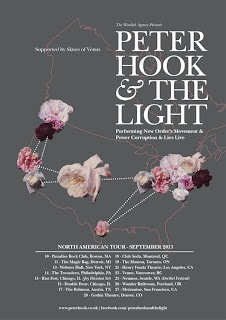 Meanwhile, fans of Movement and Power, Corruption and Lies should read Hooky's interview with Vanyaland as most of the interview is about the first two New Order albums (which he'll be performing in full during the North American tour). Hooky discussed Martin Hannett's production on Movement, said he considers Movement to be a Joy Division record with New Order vocals, and reveals his favorite song to play live is "Leave Me Alone" from Power, Corruption and Lies. Read the full interview here. 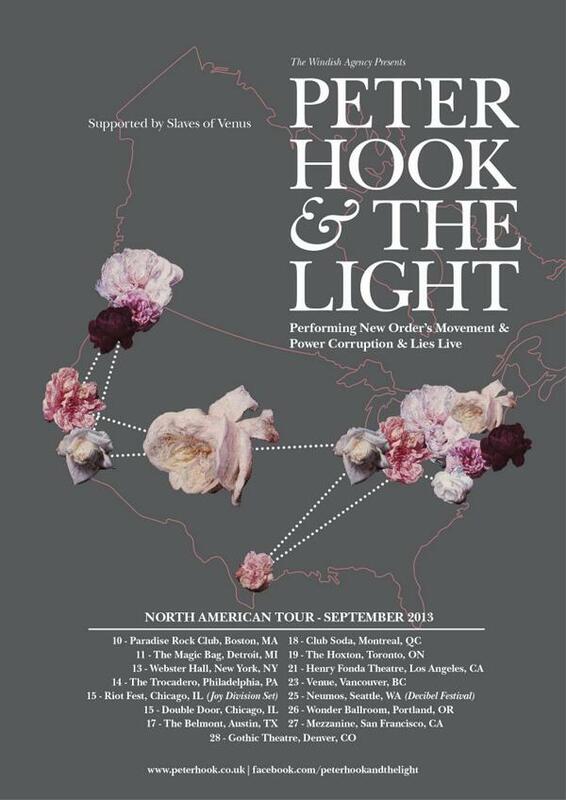 Peter Hook released a live album recorded at one of the first Movement/Power, Corruption and Lies gig back in January at the Manchester Cathedral. Purchase the album here. Meanwhile a 1102/2011 12" featuring Rowetta will be released on limited edition vinyl on September 24th. Pre-order here.